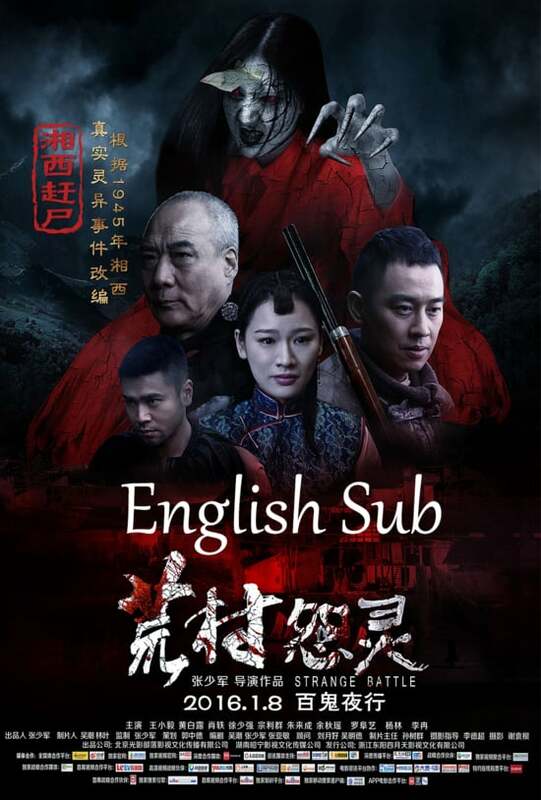 This was a 2016 Chinese movie, directed by Zhang Shaojun, and if you look to the poster I’ve headed this article with you’ll see a very stylised kyonsi with the normal prayer scroll to the forehead (though that normally offers control) and long claws but, perhaps, a touch of Chinese-cinema ghost as well. 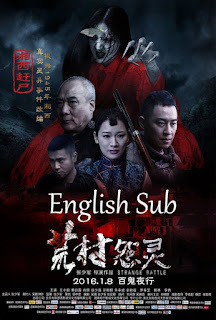 I chose that poster as it sits on the film’s Vimeo Page but there is a second poster that shows a group of five kyonsi, again looking ready to claw someone’s eye out, and a Taoist priest. In truth there is very little correlation between the posters and the actual film. In the film we get a fleeting visitation at best. 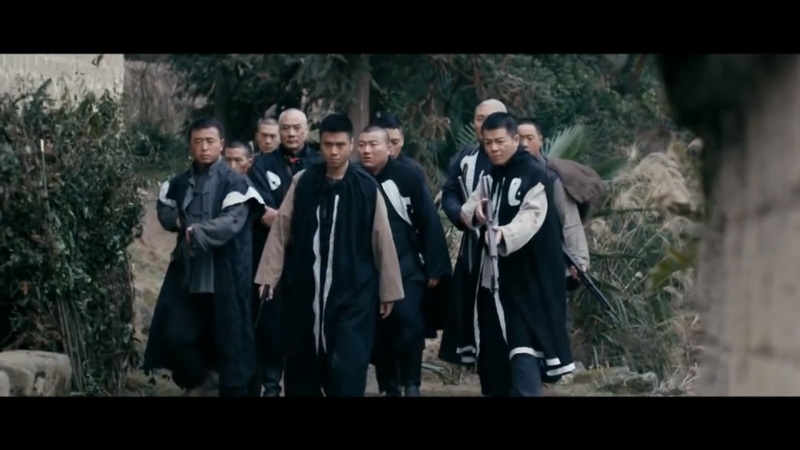 The film is set in 1945 and is set in Xiangxi Mountains. Early on we get a view of a corpse herder (or corpse artisan by the subtitles) and his charges – linked together by a rope or chain and each with a hood over their faces. I did note the prayer scrolls occasionally seen under the hood, however this is about as much as we see, a fleeting visitation, a parade sometimes in the distance. 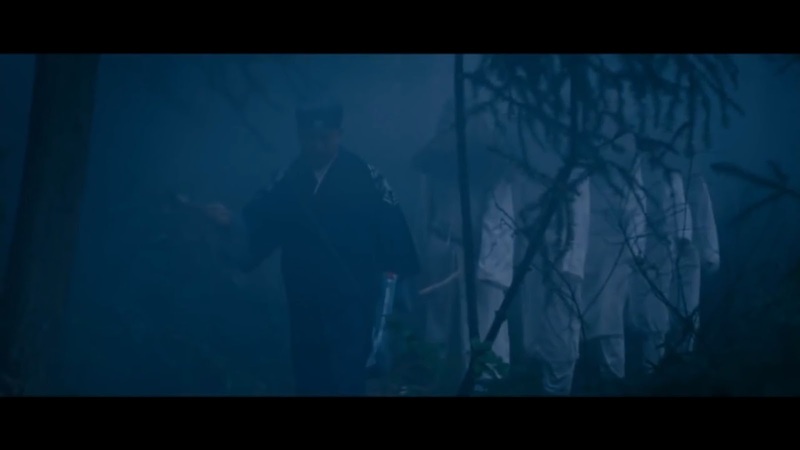 The primary story of the film is of a group of bandits (actually Japanese troops out of uniform) who are hidden in a cave nearby to a village, they kill a couple of villagers but eventually decide to take the village (as they have been seen and fear that a warning will be given to the Chinese army). 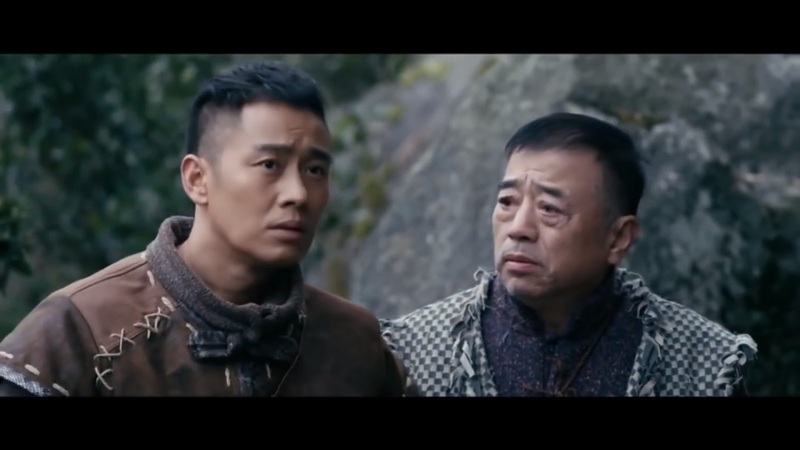 A young hunter has seen them with his father – who is subsequently killed by the Japanese troops – and tries to keep his young wife and son safe. The Corpse Herding is (almost) a backdrop. The mountain area is said to be known for the phenomena and also for a ‘miasma’ that can make a poison that causes hallucinations. We do see Chinese troops, in a flashback, posing as a corpse chain and using this disguise to attack the enemy troops. We also get the Japanese second in command poisoned and hallucinating, seeing dead villagers return as kyonsi. But they are brief moments and nothing else occurs relevant to the blog. Assuming the corpse herder to be real – and the disguised ones separate – we can say we get a fleeting visitation of kyonsi but they do nothing bar march (rather than hop) as led. Equally we can say the troops disguised as corpses are acting as a vampire. But the moments are few and far between. The film does suffer from fairly poor subtitling (repeatedly shouting that they need “brisk walking” away from the Japanese troops rather than running, for instance). The imdb page is here.